What percentage of your learning content are you okay with people forgetting? Organizations expect their employees to learn and remember everything. And we get it. You don’t want to spend a bunch of time and money to create and implement a learning solution that no one will remember. Yet stakeholders and designers make choices every day that hinder training efforts and result in wasted dollars that produce no result. Learners take a training course, but don’t apply what they learned because they don’t remember what they were taught. If it’s so easy to forget, how do we get people to remember? We know from experience that short-term learning strategies aren’t the best solution. This is why learning science must be carefully considered during the instructional design process. But what does the term learning science really mean? Essentially, learning science helps guide instructional design so that learners retain more knowledge for longer periods of time. The problem with learning science is that there are many different terms out there. Some terms are really the same thing called by a different name. Others have questionable efficacy. As an instructional designer, where do you begin? Well, hopefully this post is a great place to start. I have gathered 14 of the most common terms, some of which are very similar to each other. 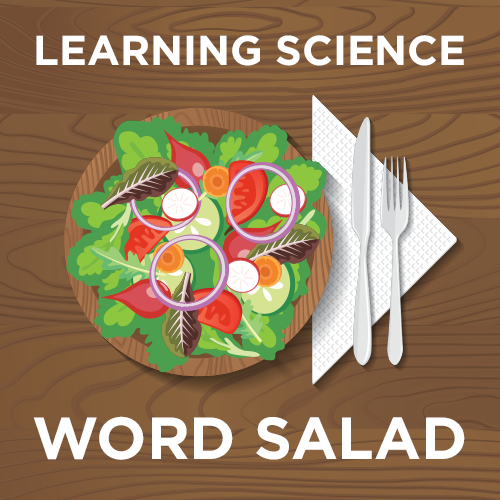 We hope they help you get a better understanding of learning science and why it’s important. Have you ever felt like your brain was about to explode after studying all night for a big exam? If so, you probably reached your maximum cognitive load. Cognitive load is the amount of mental activity exerted on your working memory at any one time. Working memory is the part of the brain we use for learning. But working memory is easy to overload, especially when we study complex subjects or perform complicated tasks. It can only hold three to five pieces of information at a time, so we forget most of the information we process in working memory. Our long-term memory is where we store things we want to remember. Unfortunately, memories that aren’t used quickly fade. For this reason, learning and remembering requires a lot of effort. To help ease the cognitive load on your learners, Connie Malamed suggests two things instructional designers can focus on to free working memory capacity. Feedback loops give people immediate information about their actions and give them a chance to change those actions. Give learners feedback at the point where they make a mistake and require them to correct the mistake before they can move on. This ensures they embed the “correct” way to respond or to perform something rather than embedding incorrect responses. Also make sure feedback specifies exactly what the learner did wrong or offers a clear cue that the learner was successful. 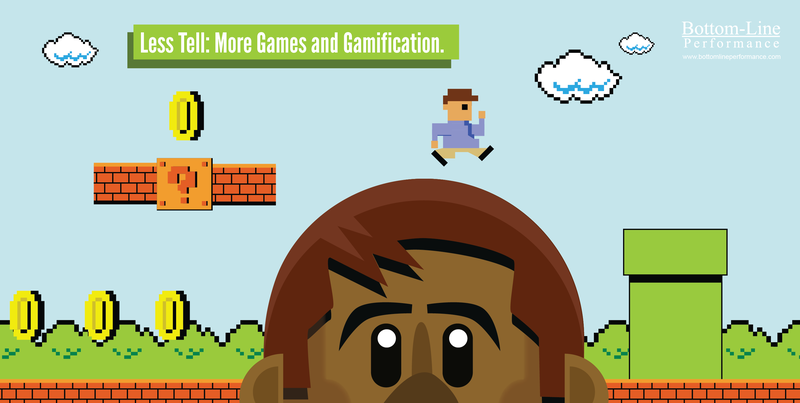 Games are great tools because they typically offer rich, continual feedback to game players. 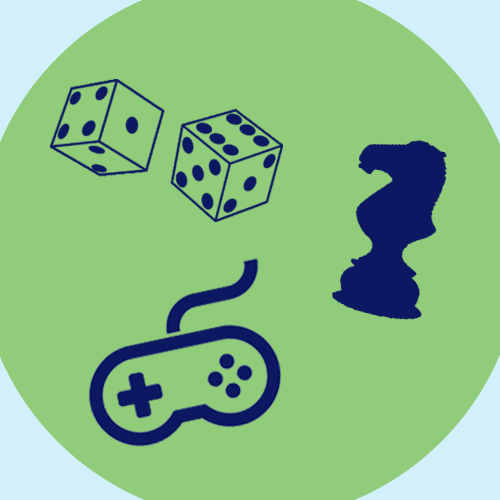 Positive feedback in games can be provided in the form of rewards such as points, badges, and other achievements. Negative feedback can equal lost points and, most importantly, guidance on the misstep and a chance to complete the challenge again. 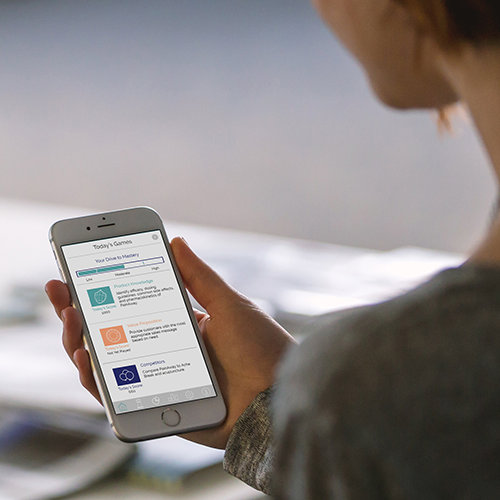 Our Knowledge Guru platform is a great example of how the feedback loops in games can help people remember. In 1885, Herman Ebbinghaus was the first to suggest that reinforcement and repetition are critical to memory. 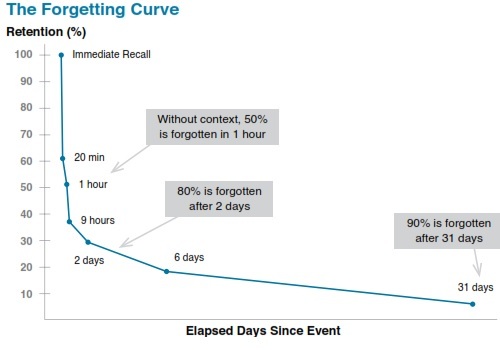 He came up with the concept of the “forgetting curve.” He hypothesized that people will forget 90% of what they learn within about six days unless multiple repetitions reinforce the learning. Subsequent research shows that the forgetting curve is actually quite variable and not set at 90%. Forgetting is also not limited to the classroom but applies widely to our daily lives and the workplace. Your learners, for example, may forget up to 90% of what you teach them. But what matters most is recognizing the proven strategies that help people remember. Effective strategies include the use of spaced learning and retrieval practice, repetition, and feedback (all words you can learn more about in this post!). Interleaving practice involves working on multiple skills at a time. You can’t work on the same type of problem back-to-back. Block practice, on the other hand, is when you focus on learning only one skill at a time. If you want to learn skills A, B and C then block practice may look something like Figure 1. When you practice only skill A over and over, your brain already knows what’s coming next and doesn’t have to exert as much mental energy. With interleaved practice, you’re forced to figure out what skill each problem calls for. Interleaved practice may look like Figure 2 (in series) or Figure 3 (randomized). Research shows this makes the brain focus more intensely, which increases knowledge retention. Knowledge Guru’s Quest App is a good example of interleaving. Each world presents different iterations of the same question so that learners never see the same question in one session of play. In psychology, priming is an unconscious form of human memory that deals with word and object identification. Your memory triggers certain representations or associations right before you perform an action or task. For example, a person who sees the word “green” (the primer) will recognize the word “grass” slightly faster. This is because priming increases the speed at which a second, related item (like grass) is identified. A primer in a curriculum design could be some kind of pre-work employees must complete before they attend an instructor-led training (ILT) course. By exposing learners to the content before a training session, they are more likely to recognize correct answers in the actual session and be able to thoughtfully participate. The premise behind the principle of primacy is simple: We generally remember the first thing we see or hear and the last thing we see or hear. The principle of recency is similar in that people remember things that happened only a few moments ago much better than things that happened a long time ago. In order to cement new knowledge, people need lots of both primacy and recency. Including irrelevant information with relevant information reduces a person’s ability to remember any information. The principle of difference says that people tend to remember things that are unique or stand out from the crowd, so to speak. For example, let’s say you give your employees a safety pamphlet and expect them to read it and remember everything on the job… but you’re not seeing results. In this case, we might recommend a learning game, which allows learners to experience the safety risks and consequences in a safe environment. It also allows them to make emotional connections and emotion is key for embedding memory. So don’t be afraid to switch it up a bit and try something different with your own training methods. Essentially, you don’t want learners to recite what they learn in a classroom or eLearning module right away. Instead, you want them to bring the information to mind on their own later. You need learners to be able to recall information and apply it on the job. The more your learners have to “retrieve” or call this information to mind, the less likely they are to forget it. For this reason, it’s important for employees to experience training on the actual job site and not just in the classroom. Karl Kapp gives an excellent description of retrieval practice here. Scaffolding simply means breaking up learning into smaller, more manageable pieces and providing a tool or structure with each piece. For example, when scaffolding reading, you might preview the text and discuss key vocabulary, or chunk the text and read and discuss as you go. The goal is to move learners towards stronger understanding and greater independence in the learning process. The Glossary of Education Reform uses physical scaffolding as an example. In physical scaffolding, the supportive elements are slowly removed as they’re no longer needed. Similarly, a teacher may gradually shift more responsibility over the learning process to the student. This is especially relatable when organizations onboard new employees. You want to help employees get started and provide them with all the necessary resources, but you can’t hand-hold forever. You have to slowly let go and let the learner take control of their own education and career development. Chunk content into “micro-spacings” within a single learning event. Repeat content over a longer period of time, with “macro-spacings” of a few days or weeks between each learning event. Present the same information in a different format or context for each repetition. The key to long-term knowledge retention is not the amount of time spent learning, but the amount of time between learning. We learn best when our brain cells are switched on and off, with short periods of learning and breaks in between. By switching your learner’s brain cells “on” (during learning) and “off” again (during breaks), the learner’s unconscious has time to internalize the knowledge and the repetition results in long term memories. Longer breaks between teaching sessions may also result in longer-lasting memories. 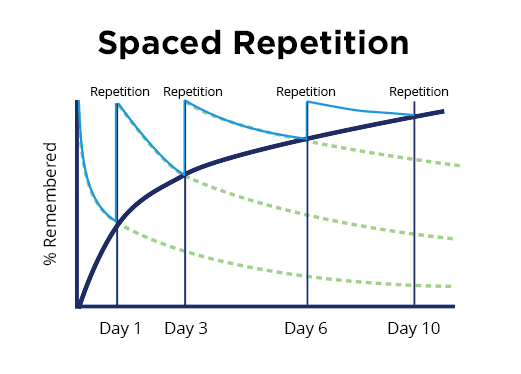 Similar to spaced repetition, the spacing effect says information that is presented over spaced intervals is learned and retained more easily and effectively. Several studies show that learning and retention improves when multiple exposures to information are spaced over time than when the same number of exposures occurs consecutively in immediate succession. For example, Dempster (1987) found that students remembered more vocabulary definitions when a term and definition were repeated every five minutes, rather than when the same term and definition were repeated back-to-back. Successive relearning involves testing yourself until you can accurately remember the target information from memory. 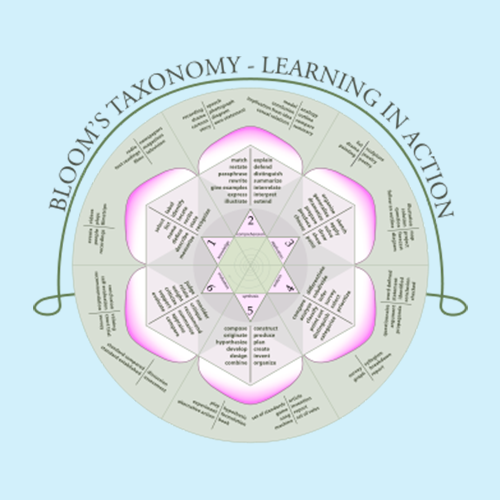 Ideally, learners should be able to do this in more than one practice session. The critical part of successive relearning is that all the old concepts are relearned in the next study session (and in the next three to four study sessions). Truthfully, it may take learners a large amount of time to learn difficult concepts well enough to retrieve them in a practice scenario. But don’t fret. Relearning them in later sessions is easy—that is, learners will quickly relearn what they already retrieved in prior sessions. Research shows that repeated testing is better than repeated studying. Taking a test on previously studied material leads to better long-term retention. This is because you have to immediately retrieve information stored in your memory. Thus, the testing effect and retrieval practice are often used interchangeably. Most studies find that people remember 50% more of learned information by testing themselves instead of using that same amount of time to study. For example, Figure 4 shows the results from an analysis that found a score difference of 67% with testing compared to 45% with studying. Using flashcards, reading, and taking notes all count as studying. Testing, on the other hand, forces you to remember information on the spot. 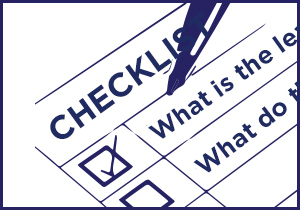 So make sure to incorporate some type of quiz or test at the end of each learning module you present to your learners. Instructional design refers to a systematic approach to designing instruction and basing that design on learning science principles. Although instructional design doesn’t count as a learning science term per se, you’d be surprised at how many people have no idea what this term means. Be careful when discussing learning styles! It’s no secret that people have different stated preferences for how they like to learn. However, there is no proof to show that designing learning to these preferences improves learning outcomes. 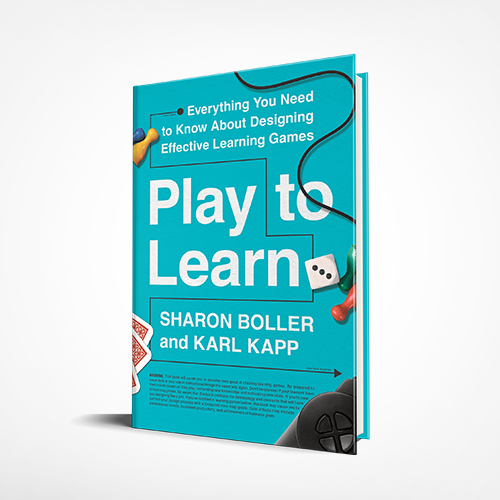 In this article, Sharon Boller says that what a person “needs” in terms of instructional design depends on many factors such as prior knowledge, readiness to learn, motivation, etc… but not on a preferred learning style. She recommends taking time to understand the needs of your particular learner group before you start curriculum design.